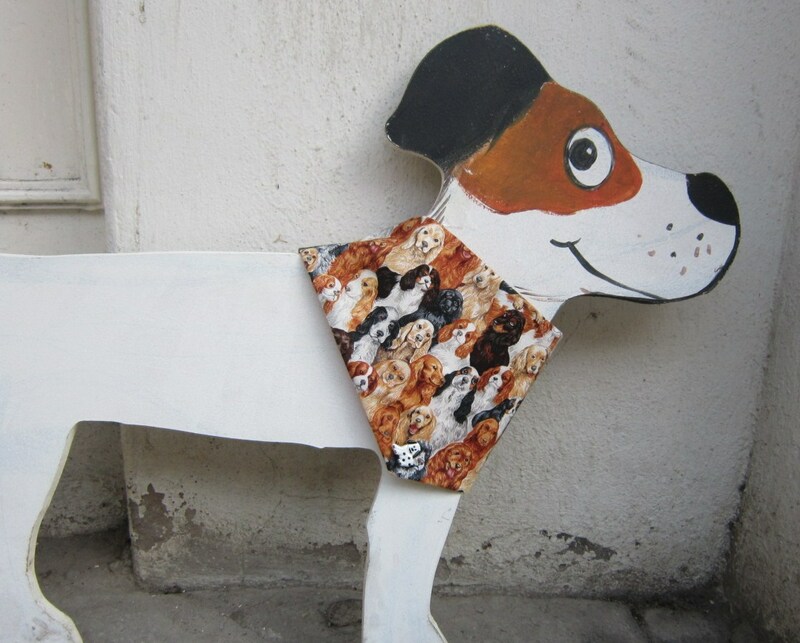 Handmade Posh Dog Bandanna – 017. Handmade dog bandannas – double sided – one patterned – one plain. All my hand-made dog wear has a dog shaped button detail. Handmade Posh Dog Bandanna – 023 – A Collar’s for Christmas.